At the end of the year, I am normally in the same camp. However, no matter what everyone says, most people buy the game again. Saying that, I have noticed that FIFA is 25% down in physical sales this year but I would pass the blame to the monotony of Fortnite rather than the annoyances of FIFA 18. Before I talk in depth about FIFA 19, it is worth saying that I was pleasantly surprised with how much I have enjoyed and am still enjoying it. The trickiest part of this will be explaining why. This new release is realistically the same as the last one, but with a few new parts added to it. The Journey (the solo game) was a surprisingly fun new attribute last year, and this year it continues to impress. You get to play as three different characters – the original Alex Hunter, his buddy of old Danny Williams and now Kim Hunter (of course, a little bit of political correctness). What’s nice about The Journey is how the characters develop and their stories entwine. I have heard about a lot of people moaning about the first touch finishing, but I had no issue with it at all. I enjoyed the fluidity of the gameplay more than I have in a number of years. Visually, absolutely nothing has changed. The players still look quite look the players, and the people in the stadium only wear the football kits. It’s a shame that you don’t see anyone in a Stone Island jumper and a hidden flare in their trousers… oh, of course with some brand new Adidas trainers. They clap in the same monotonous way, and not once in a FIFA game have I seen a stripper… I mean streaker run on to the pitch. Thinking about it, it must be quite a challenge to separately programme 90,000 fans to do their own things. When it comes to the music list, you are once again treated to bangers. Most of these bands probably don’t even ask for money as they want their tracks to be on the best-selling sports game. This always means that you get great music which is most welcome. The commentary is always decent as well; this time it hasn’t changed much, but generally keeps up with the gameplay. It was a little tedious when they kept on suggesting that the game is equal because both teams have scored, however. That said, there are a couple of additions where there are new commentators on the Champions League matches but, overall, all is as you’d expect. 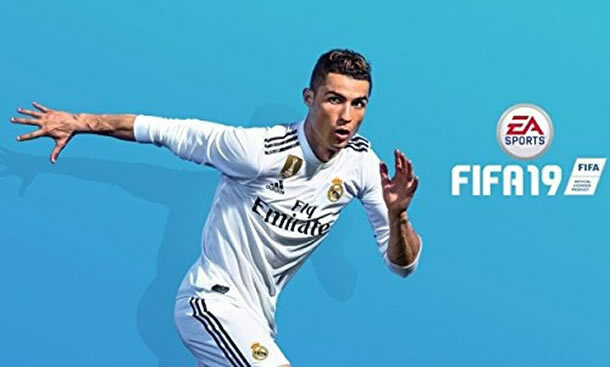 Overall, FIFA 19 offers a fun experience that will keep you addicted for a while. It is noticeable that there aren’t as many players on it at the moment, which meant I was genuinely better than most of the other people I played. There isn’t much new, but everything is updated and players are at their correct teams – and that is all you need, all making this a solid addition to the series, but one which won’t blow you away and will keep you going for another year. FIFA 19 is out now on PS4, Xbox One, PC and Nintendo Switch, and click on the packshot for the full-size version.